In 1887, Edward Bellamy published Looking Backward He was looking at his own era from the vantage point of the future (the year 2000). We’re looking at the past, also with the benefit of hindsight. This site pages back through the streets, scraps and happenings of a city known for its history. The goal: to recover the layers not just from the Colonial period to the Revolutionary War, but the decades from those years to the present. 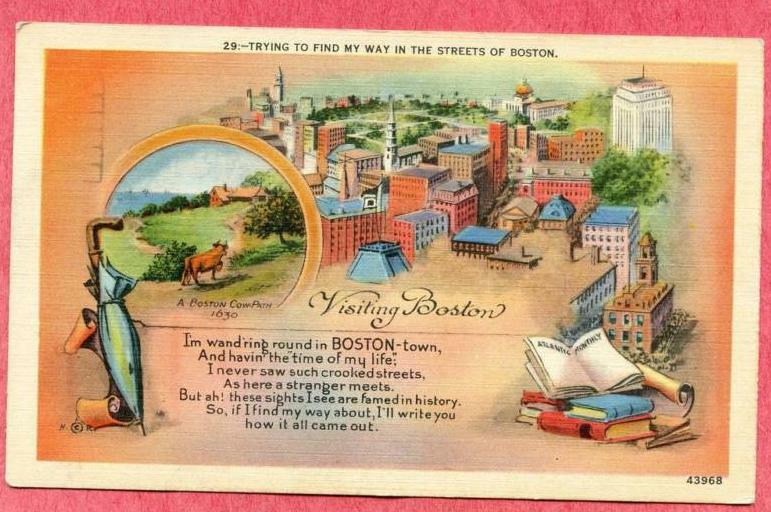 Suggestions and questions welcome at bostonlookingbackward (at) gmail (dot) com. Read the original Looking Backward, by Edward Bellamy.